Freelancing is on the rise. For individuals, freelancing offers a compelling way to work with more flexibility and the freedom to create a desirable lifestyle. More and more organizations are moving beyond traditional employment practices to hiring freelance workers in order to find the skills they need when they need them. So, how can you take advantage of this trend and become a freelancer? We’ve pulled together this guide to help you get started. 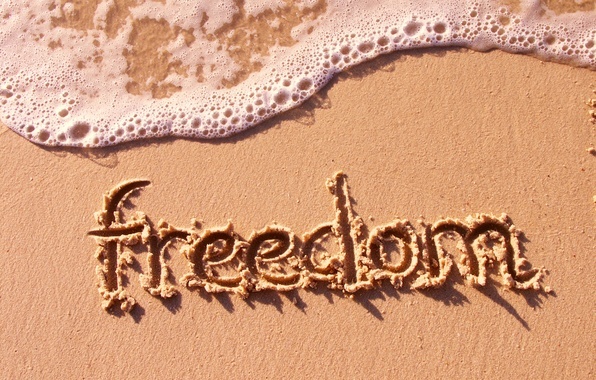 Undoubtedly, freelancing offers greater independence over a job. At the same time, freelancing is still a business, and starting up carries some risk. Before you jump in, it’s important to ask yourself if freelancing is right for you. Does freelancing align with your values, goals, and the lifestyle you want to lead? Are you ready to put yourself out there and take some risks in order to build your client base? And, are you willing to learn how to manage the financial, tax, and legal aspects that an employer would normally take care of for you? If you can honestly say yes to these questions, then you’ll have a greater chance of success as a freelancer. With your work, education, and other experiences, you have a lot to offer as a freelancer. But, it helps to narrow down your offering to the activities that you enjoy doing and believe you can make a living from as a freelancer. Start by creating an inventory of the activities you enjoy doing. Next to each activity, identify how you could make a living from doing it professionally as a freelancer. Then, look at how much experience you have in offering those skills either through a job, volunteer, or other activities. It helps to establish an offering around the activities you enjoy, have experience doing, and can translate into a freelance business. After you’ve determined what kind of work you want to do, think about who you want to work with. Perhaps it’s not the type of people or organizations you worked with at your previous job, but other types of people or organizations that could really use the knowledge and skills that you’ve developed over the years and that you are passionate about supporting. In any case, consider the characteristics of an ideal client relationship for you. Some question you can ask: How much experience do they need to have working with freelancers? How do you want to interact with them? What makes good client communication? What impact do you want to make through your client relationships? How would they treat and value your work? In the early stages of your freelancer business, you’re likely to experience some fluctuations in income as you build your client base. So, it’s important for you to get a good handle on your monthly spending and savings. You can do this by looking at your bank and credit card statements to get data on how you spend your money, and use that data to create a monthly budget. For more details on budgeting, check out our previous blog post on creating a self-employed budget. Your pricing will depend on a number of factors, including your industry, experience, geographic area, and costs. Do some market research by talking to other freelancers, check out their websites, and do a Google search on market rates in your area. This will give you an idea of the going rate for similar services in your area. Your potential clients might compare your offerings with other competitive services. Also, calculate your costs as a freelancer, including the opportunity cost of your salary and benefits if you were employed in this industry and your expenses associated with operating the business. You can use this to calculate your basic hourly rate. Once you have the data on your basic hourly rate and the market rates, you can decide how to present your fees to clients. Before the client work starts coming in, make sure you are prepared for it. Spend some time organizing your processes and templates for new client intake, scoping the work, handling contracts, invoicing, and dealing with taxes. Consider drawing out a process map that shows the steps you need to take from the point when a client inquires about your service to when you close a deal with them. If you know the process, you can then identify points where you can make the flow more efficient by creating standard templates. These days, it’s necessary for any business to have an online profile. When you are given a business referral, think about how often you first search online to find out more about that business before following up. Your leads are doing the same with you. As such, it’s important for you to think about where your potential clients would typically be searching online for you, such as LinkedIn, your website, and/or an online platform specific to your industry. Then, start to build that presence online. Be sure to create a consistent profile that is authentic to you, reflects your experience, shows the value of your work, and speaks to your ideal client. Start with your immediate network of family, friends and former colleagues. Create a list of people who you think might be willing to offer advice and connections. Contact them to let them know you what you are doing now and ask if they would be interested in catching up over a cup of coffee or by phone. They are often your best source for referrals. Also, think about how you can expand your network and spread the word about your new freelance business by going to events, such as such as trade association gatherings, meetups, networking events or workshops. If you’re ready to get started as a freelancer, you may be interested in our upcoming Freelancer Accelerator at our San Francisco or Oakland business accelerators. The deadline to apply is October 20.